Des Moines County is a county located in the state of Iowa. 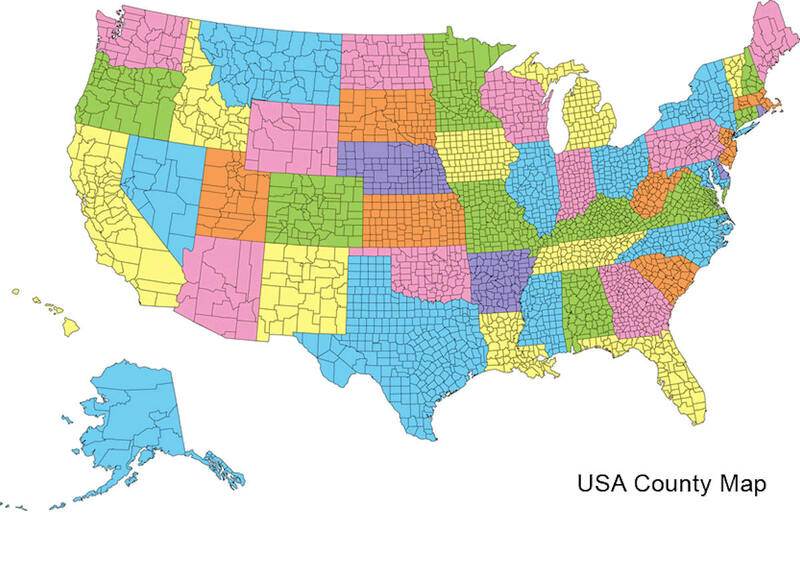 Based on the 2010 census, the population was 40,325. Des Moines County was created on October 1, 1834. The county seat is Burlington. The county is named for the Des Moines River, river that once ran through the county. Des Moines County is part of the Burlington, IA-IL Micropolitan Statistical Area. Des Moines county is named for the Des Moines River. Until 1833, Indians held the land that is now Des Moines County. It was named for the Des Moines River which runs through southeastern Iowa. For some years, a branch of the American Fur Company had a trading post on the present site of the city of Burlington. Immediately upon settling on the land, whites applied for license to maintain a public ferry across the Mississippi River. The US flag was first officially unfurled over Iowa soil at Burlington on August 23, 1805 by Lieutenant Zebulon M. Pike during an expedition to explore the Mississippi. Des Moines County was established and originated in 1834. It and Dubuque County were the only counties in existence at this time. 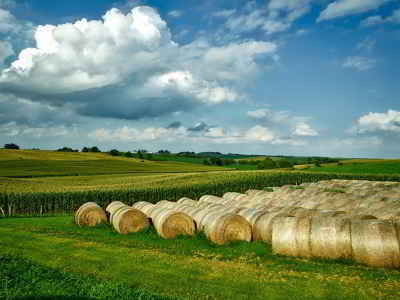 Together they contained all of present day Iowa in their borders. In 1836 the Wisconsin Legislature split Des Moines County into Lee, Van Buren, Des Moines, Henry, Louisa, Muscatine and Cook counties. The present boundaries of Des Moines County were established in 1839. The county is named for the river that runs through it. It is one of Iowa's two original counties along with Dubuque County; both were organized by the Michigan Territorial legislature in 1834. Des Moines County was entitled to 10 members of the House of Representatives at Belmont, Wisconsin in October 1836. One of the bills passed at this session selected Burlington as the temporary capital of the Territory. In 1838 the city of Burlington was chosen to become the county seat and the capital of the Territory of Iowa. There was little dispute because Burlington was the only area of significance, and it had been serving as the temporary county seat since 1834. In May of 1839 the first paper, the Burlington Patriot, was published in the county. Its name was changed from Patriot to Hawkeye and back to Patriot and, finally, back to Hawkeye. It is still in circulation and is Iowa's oldest newspaper. The first court was held in a log cabin on April 13, 1835. It was later held in the "Old Zion" Methodist church, houses and stores. The first county courthouse was built in 1850. Marion Hall was constructed and then leased to the city for use as a courthouse. This two-story brick building was named after the wife of H. W. Star, one of the builders. The courthouse was later moved to Mozart Hall. This building, along with some of the county records, was destroyed by a fire in 1873. At one time (in 1905) the Board of Supervisors consisted of four members, but it was changed to three members in 1906 and remains so today. 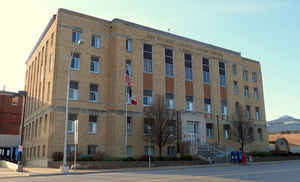 The present courthouse of Des Moines County was constructed in 1939. Total cost of the project, including land and furnishings, was $280,000. A new Correctional Facility opened for business on March 25, 1995. It is a 62 bed jail, built for $3.5 million. Glass, Remely J. Iowa and Counties of Iowa., Klipto Loose Leaf Company, Mason City, Iowa: 1940. As reported by the Census Bureau, the county has a total area of 430 square miles (1,100 km2), of which 416 square miles (1,080 km2) is land and 14 square miles (36 km2) (3.2%) is water. Des Moines county is located in southeast Iowa. The Mississippi River forms the east border; Skunk River, the south border; and the county is drained by Flint Creek.